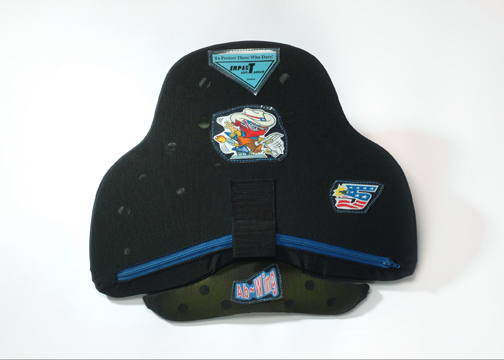 Impact Armor's New for 2008 C-008AW chest protector with body actuated, lower abdomen protective wing..."Ab~Wing", provides superior protection for the sport or competition rider. Now, for the first time, protection coverage is provided for the lower abdomen region of the body thus more effectively protecting the spleen and other organs. Owners of Impact Armor's "C" series of chest protectors can have their armor upgraged with the Ab~Wing feature for a nominal cost.